You’ve all heard the popular Cyndi Lauper song “Girls Just Want To Have Fun”, right? It’s always on the play list for bachelorette parties and ladies night out celebrations. Did you know it was a movie in the mid-80’s as well? Yep, Sarah Jessica Parker played the lead in this 80’s romantic comedy movie that most girls in my age group (40’s – gasp!) remember watching on VHS. It’s funny how hearing an old song can bring back memories of 80’s school dances and airbands in your parents basement. A lot of kids in school now won’t know about this old 80’s classic but the moms & dads here will get the reference with this Ghouls Just Wanna Have Fun Halloween favor tag. 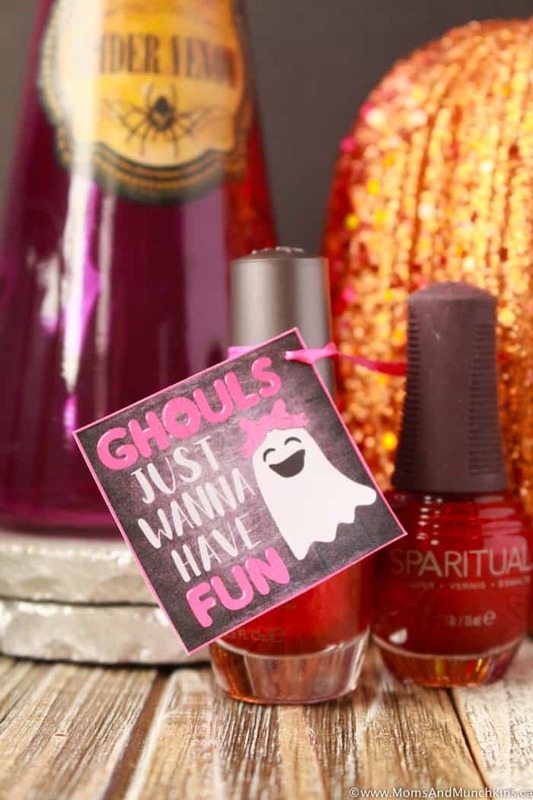 This cute Halloween favor tag can be attached to any kind of favor you’d like – candy, mini nail polish, Halloween-themed stick on nails, glow in the dark putty…the possibilities are endless! This Ghouls Just Wanna Have Fun treat printable is available for FREE for our monthly newsletter subscribers! Signing up is free & easy. We have over 17,000 subscribers that enjoy the special freebies each month! Simply enter your email address, confirm your subscription, and you’ll be directed to a Thank You page with a link to the freebies page along with the secret password. This link and password will also be repeated in each of the monthly newsletters. Already registered but can’t remember the password? Send me an email & I’ll help you out! 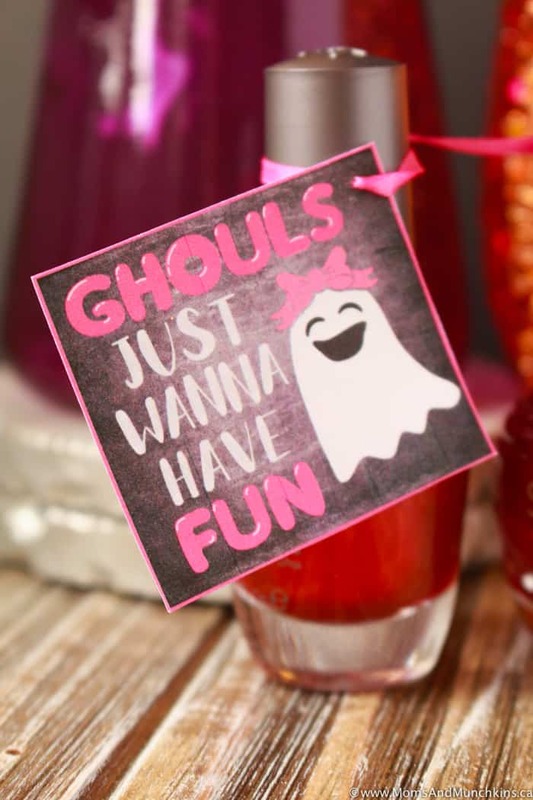 Looking for more cute ideas for Halloween like free printables, treat tags, recipes, party ideas and more? Check out our Halloween page! 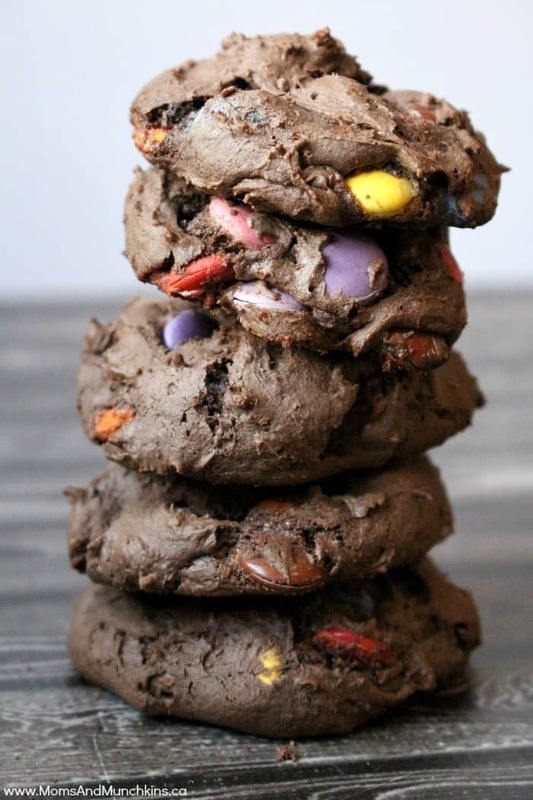 Here’s one of my Halloween favorites – turning those extra mini chocolate bars into delicious cookies – Chocolate Candy Bar Cookies! Stay updated on the latest home entertaining ideas by following us on Facebook, Twitter, Instagram and Pinterest.